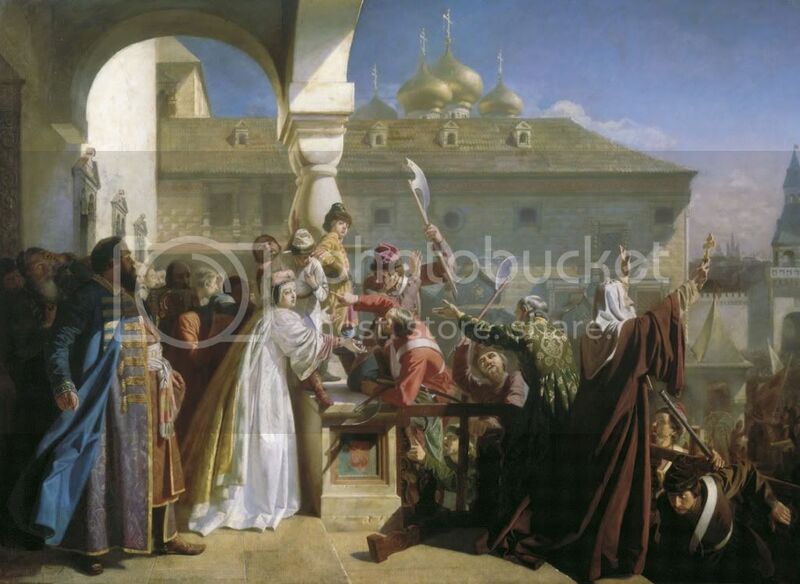 Nikolai D. Dmitriev-Orenburgsky (1838-1898) ,pintor ruso. 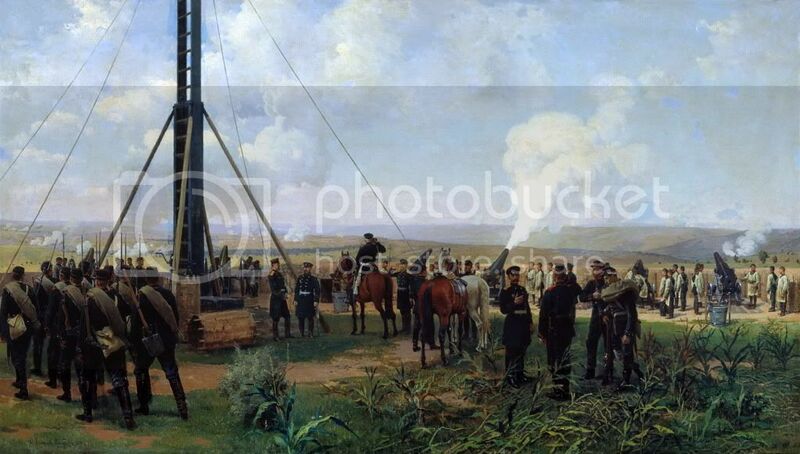 The artillery battle at Plevna.1880. 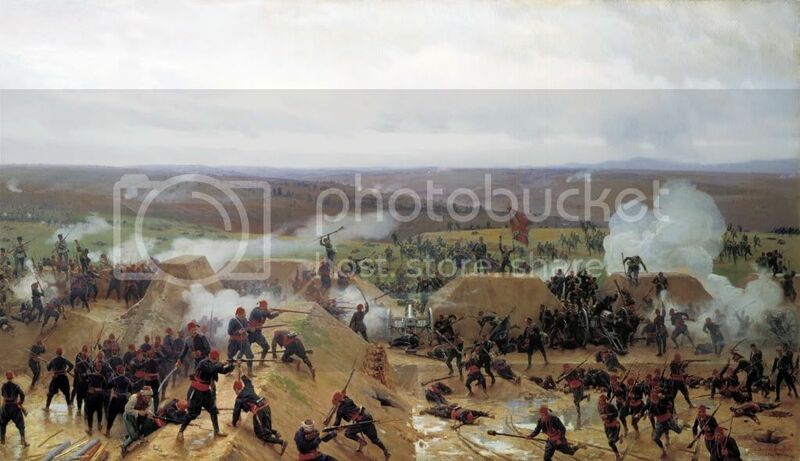 Bayonet fight of Russian regiments with Turkish infantry in 1877.1881. 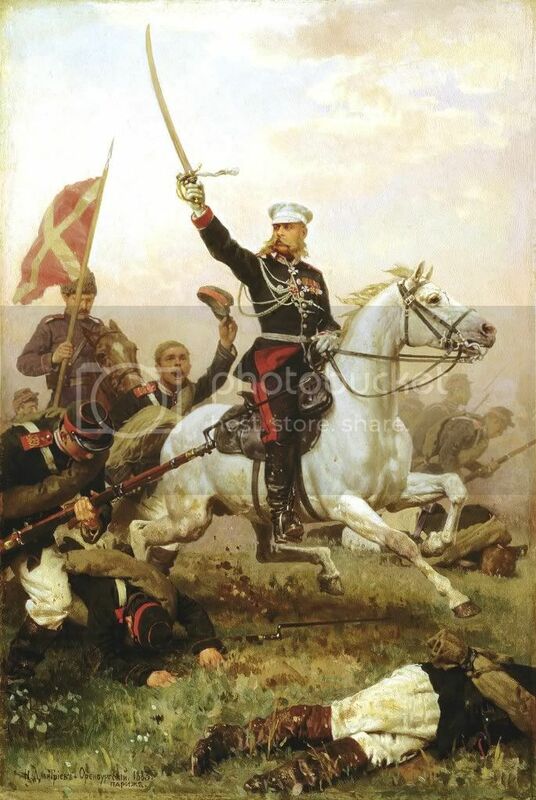 General Nikolai Skobolyov on his horse.1883. 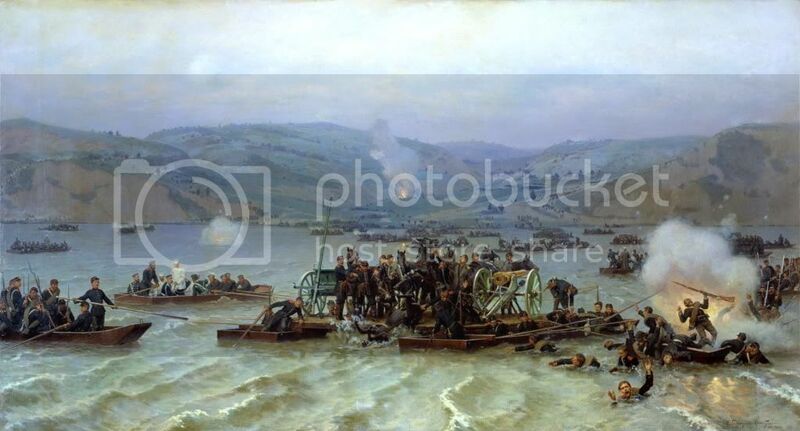 Russian Army crossed the Danube at Zimnitsa in 1877. 1883. 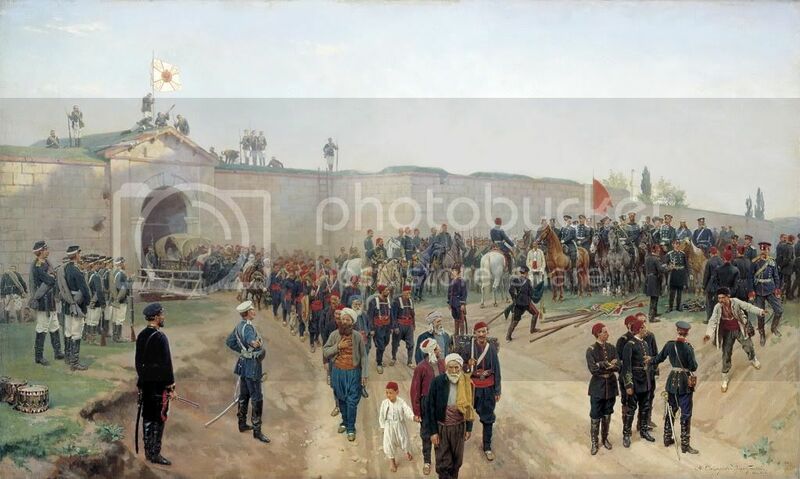 Surrender of the fortress Nikopol July 4, 1877. 1883. 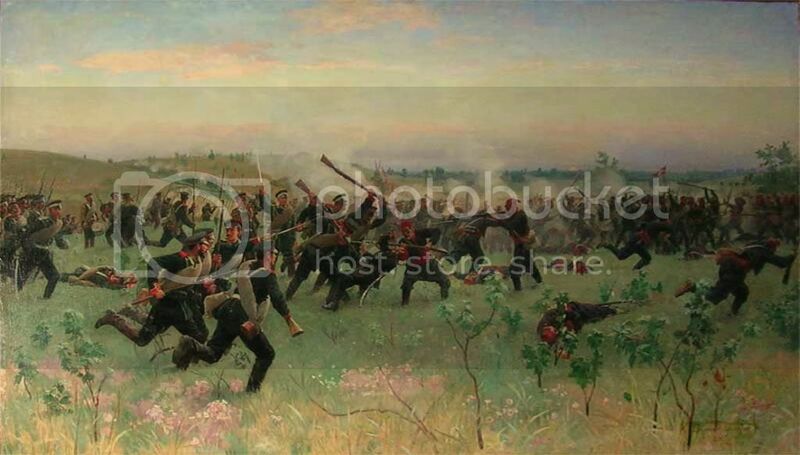 The battle at Plevna August 27, 1877.1883. 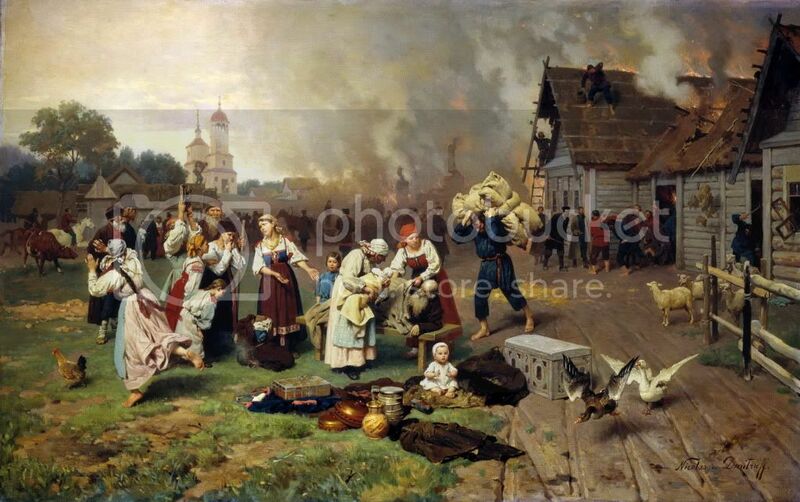 A fire in the village.1885. 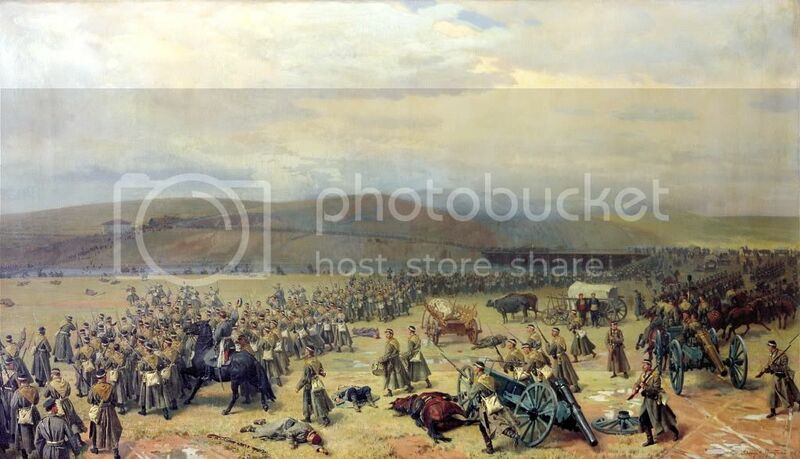 Capture Grivitskogo redoubt at Plevna.1885. 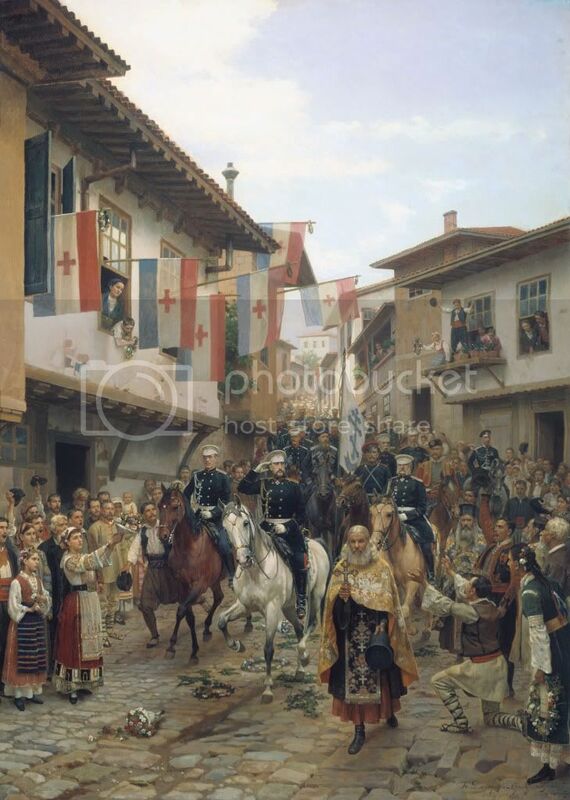 Entrance to the Grand Duke Nikolai Nikolaevich Tarnovo in 1877.1885. 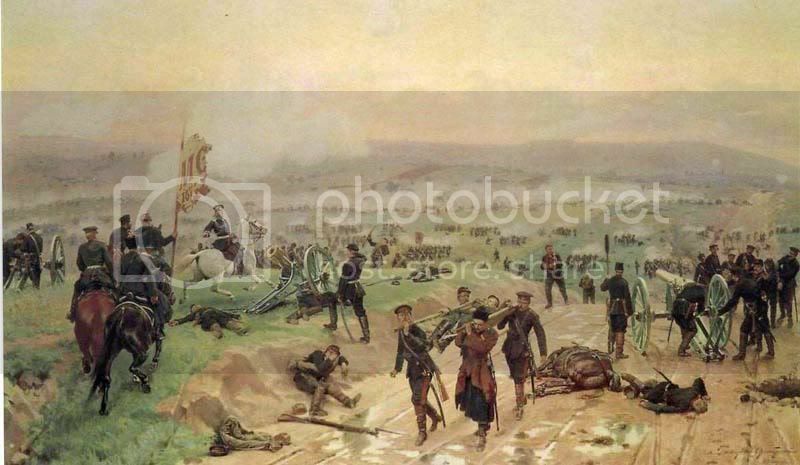 The last battle at Plevna November 28, 1877.1889.